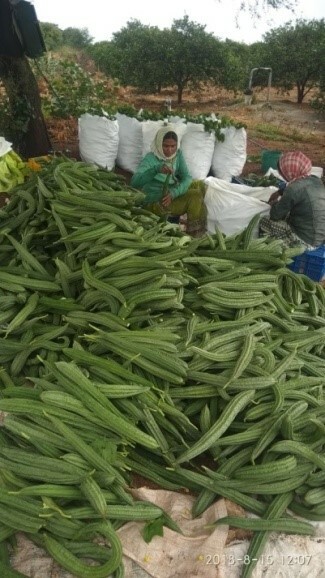 Performance of Arka Prasan, Ridge gourd Variety in the farmer’s field of Karnataka and Andhra Pradesh. 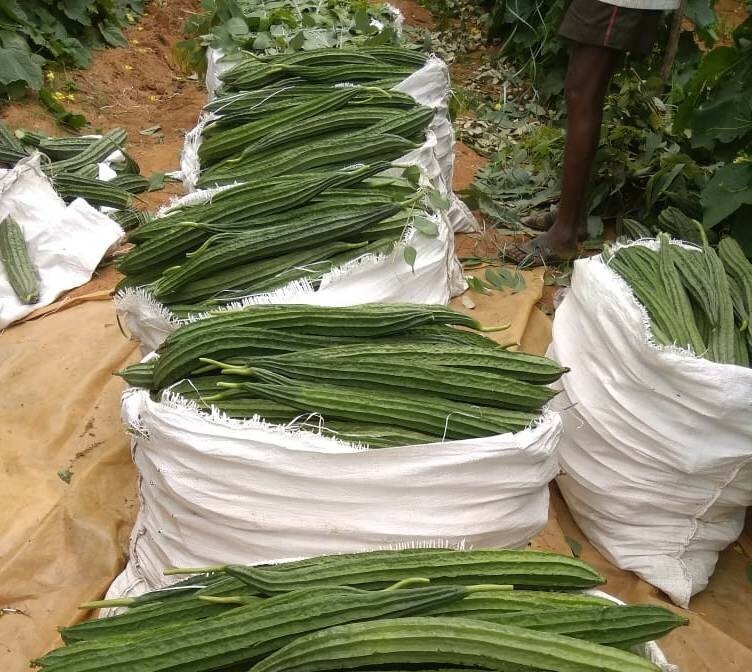 Arka Prasan, a high yielding ridge gourd variety cultivation is taken up in Karnataka, Andhra Pradesh, Madhya Pradesh, Maharashtra, Orissa by 35-40 farmers covering an area 80-90 acres of land. The variety is well accepted for its high yield potential and fruit quality. In the first picking farmers could harvest 0.5-1.0 t/acre and subsequently 1.0-1.5 t/acre/picking in the further pickings. In total about 15-20 pickings were made with an average fruit yield of 15-18 tons/acre. Further, the farmers are satisfied as the variety is having long, straight, tender green fruits which are very much preferred in the markets of the above states. 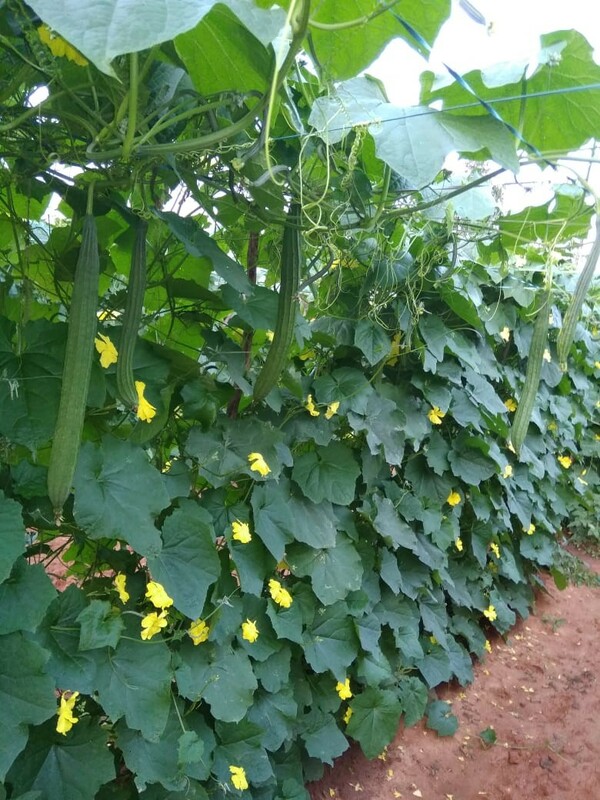 Ridge gourd variety, Arka Prasan is grown in 4 acres of land of Mr. Raghvendra Reddy at Thimmampet village, Garladinne Mandal, Anantaput dist of Andhra Pradesh during July, 2018. 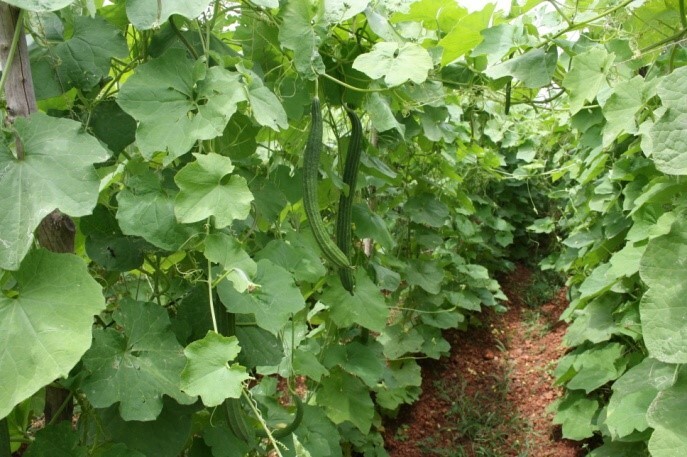 He is a regular grower of ridge gourd and of late he felt that the performance of private company cultivars was not good and started searching the internet for a good variety. Then he came across about ICAR-IIHR ridge gourd variety, Arka Prasan and purchased the seeds from us. He is very much satisfied with the earliness (first picking by 35th day), growth and yield performance of the variety. Initially he got about 1.0-1.5 tons yield in the first picking taken at 35 days after sowing and then after he used to get about 3.5-4 tons/picking from 4 acres. He said that the fruits are attractive, long, straight, tender green and preferred very much in the market. He got on an average Rs.15-22/kg of fruits in the Hyderabad and Anantapur markets. So far he has made15 pickings and another 15 more pickings he is expecting with a total yield of about 20-22tons/acre earning about Rs.3.0 lakhs. His expenditure per acre is about Rs.40,000 and his net returns is 2.6 lakhs/acre over a period of 3 months. By seeing the excellent performance, again he is planning to grow Arka Prasan in another 8 acres in the coming season. Mr. Vasudeva Rao who use to frequent IIHR for biofertilizers for his Pomegranate field, came to know about Arka Prasan and grown in 1 acre plot during summer at Kunikere, Hiriyur tq., Karnataka during May, 2018. He was very much impressed with the fruit quality and yield performance of this variety and got first crop after 45 days itself. He got an yield about 12-15 tons/acre in 12-14 pickings. He sold the fresh fruits in the Hiriyur and Davanagere markets at Rs.20-35 per kg which fetched him about Rs. 2.5lakhs. His expenditure was Rs.40,000/acre with a net returns of Rs.2.1 lakhs/acre over a period of 3 months. Mr.Naveen kumar, a farmer from B.Hosahalli, Sarjapura, Anekal Tq. Bangalore South Dt., Karnataka used to grow private company hybrids of ridge gourd, but oflate he said they were not performing well. So he searched the internet and learnt about high yielding IIHR variety, Arka Prasan. Then he has grown in an acre plot during July, 2018 and expressed that the germination was 98% in Arka Prasan compared to private hybrids in which he could get only about 80%. He was very much satisfied with the growth, earliness (first picking in 40 days after sowing), abundant flowering and fruiting of Arka Prasan. He said that the fruits are long, straight, green with good quality and very much preferred in the Mangalore and Kerala markets. Though we do not claim any virus resistance, he said that the variety is tolerant to leaf curl virus. He has harvested about 1.5-2 tons of fruits per week and in total he is expecting a fruit yield of about 18-20tons/acre. He is selling the fruits for Rs.10-15/kg and expecting gross returns of Rs. 2 lakhs. With an expenditure of Rs. 35,000/acre, his net returns will be Rs.1.65 lakhs/acre over a period of 3 months.